Opening December 2017, Riu Dunamar is situated on the gorgeous golden sands of Costa Mujeres. Only 21 miles from Cancun Airport and 11 miles from downtown Cancun, this five-story resort features 740 beautifully designed rooms and a range of extraordinary amenities that will delight singles, couples, and families alike. Take a dip in one of five pools or head to the beach, where you can enjoy the warm sun on a free sun lounger. While there, get your heart pumping while kayaking or snorkeling. From the pool to the beach, there are plenty of activities that will keep you entertained for hours, including the RiuLand Kids’ Club and other programs for children. After a full day of activities and excursions, sit down to a delicious gourmet meal at any of the five on-site restaurants. Whether you’re in the mood for Asian, Italian, or any of the other mouth-watering options available to you, you’ll find that you end your dining experience feeling completely satisfied. Snacks and appetizers are also offered in the hotel bars and the swim-up bar, so be sure to grab a treat whenever you feel that familiar rumble in your tummy! End your night with an exciting evening program, show, or live music. There’s also free entry to the night club – open six nights a week – so you can dance the night away while sipping some amazing cocktails! Cancún – Costa Mujeres is the perfect destination for a holiday in paradise thanks to its white sandy beaches and crystal clear waters. But if you would like to visit the area’s landmarks, we recommend you visit the Isla Mujeres sea turtle conservation centre, the Kukulkán pyramids at Chichen Itzá, and the archaeological ruins of El Rey. For more information, you can consult the tourist guide to Cancun and find out about the best offers for the Hotel Riu Dunamar. 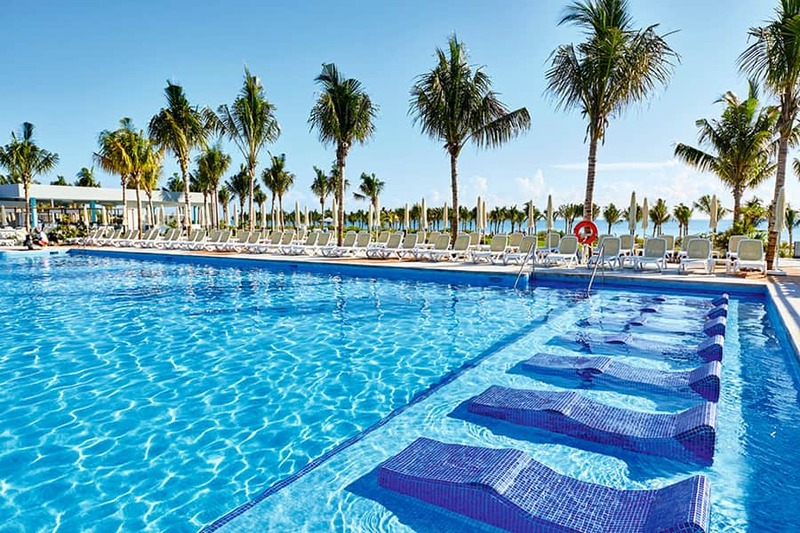 Discover Mexico with RIU Hotels & Resorts!